Ivy's Place is fighting ovarian cancer by sharing people's stories. 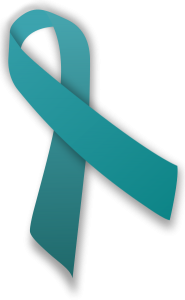 What can you do TODAY about ovarian cancer? You can know the symptoms. You can listen to your body. You can educate a friend. 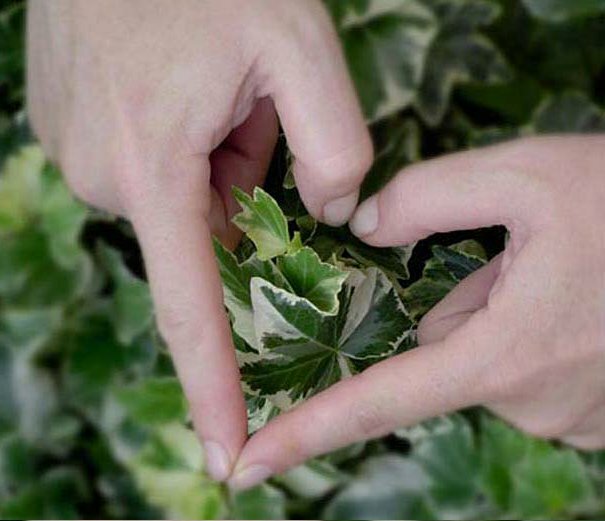 The Ivy Fund collects, archives, and shares stories of those touched by ovarian cancer. Awareness and hope are power. 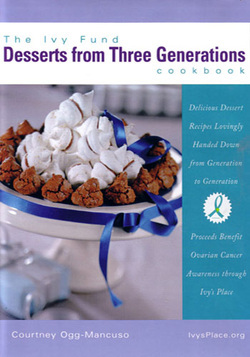 Make a donation of $30.00 or more and receive a cookbook as our way of saying thank you. Send one to a friend too! Proceeds benefit ovarian cancer awareness through Ivy's Place. A major step forward...recent advances in the field of clinical proteomics, the study of patterns of proteins in human blood or other tissues, is making a definitive test for ovarian cancer a reality. A malignant ovarian cyst is said to shed a particular type of protein, this test can identify that protein. It has been successful in picking up ovarian cancer in its earliest stages. A screening test for ovarian cancer is also likely to come of this discovery. It is an enormous development for women and their families. The future looks promising - the progress is inspiring, it creates a whole new set of needs. We must now educate women, their doctors, and their peers that a test is forthcoming. We must ensure that the test is available to every woman. We must continue to fight for a cure. Awareness and early detection are our best weapons.